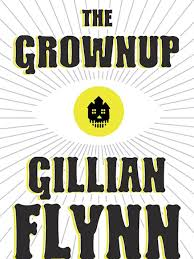 Universal has acquired the rights to Gillian Flynn’s The Grownup. Check out the news below! In what turned into a heated bidding war over the past 24 hours, Universal has won the rights to Gillian Flynns short story The Grownup, sources tell Variety. Michael De Luca is producing with Natalie Krinsky attached to adapt the script. Sources say while the rights have been acquired, deal points for Krinsky are still being worked out. Story revolves around a con woman who is reading auras at Spiritual Palms when she meets an unhappy woman, whom she tries to help. The phony psychic accompanies the woman to her home, which the woman swears was haunted when she moved in with her husband, son and stepson. The con woman is charged with exorcising the evil within, and its soon clear she may have gotten in way over her head.